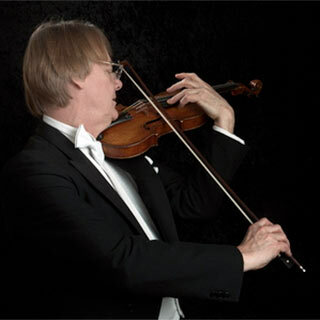 He graduated on the violin, but it was his love for the viola that gave him his first taste of the music profession. As a young violist he worked with the BBC National Orchestra of Wales, Royal Philharmonic Orchestra, London Mozart Players and the original London Soloists Ensemble. Later as principal violist and soloist, he performed with the London Soloists Ensemble, Wessex Sinfonia, Clifton Virtuosi, Orchestra of the Swan, English National Baroque and the Emerald Ensemble. His career further developed as a soloist, recording for BBC Radio 3, 4, Classic FM and Greek RTA. Solo sound tracks were also recorded for television documentaries for BBC 1 and 2, ITV and Channel 4. His keen interest in promoting contemporary music has taken him throughout the UK and Europe, including a major tour of Turkmenistan. This was organised by the British Council and Turkmenistan’s Ministry of Culture for the Makhtumkuli Festival. His performances were televised throughout the State, and Richard has the distinction of being the first British musician to perform there since Glasnost. Richard devotes much of his time to teaching and is Professor at Trinity Laban Conservatoire of Music & Dance London, and the Royal Welsh College of Music and Drama. He also teaches at Bristol University and is on the faculty’s of Bath and Goldsmiths Universities. Private students from Scotland, France, Spain, Italy, Holland, Hong Kong, India, Shanghai, Singapore, Switzerland and Belgium have regularly worked with Richard for intensive study. He has coached and given master classes in Korea, Spain, Italy and France. Lessons over the Internet to over thirteen countries each week are a new feature of Richard’s work. This allows students and professional musicians access to a successful pedagogy that they would not normally have access too in their own country. Over the years his students have won first prizes at National and International Competitions, and regularly gain places with the National Youth Orchestras of England and Wales. His most gifted Postgraduate students procure positions with the major Orchestras in London, throughout the UK and abroad. Young professionals often return for refresher lessons when preparing for auditions. Most recently he has produced the CRABBERS Scale Manual for Violin, Viola and Cello. A unique system that only uses letters and numbers and is designed for Conservatoire Undergraduates, as well as younger students, that may find remembering scales challenging. The system is endorsed by other colleagues who teach at the main conservatoires. He plays on a fine Violin by the 19th century Venetian maker Santaguliano 1829, and a fine 18th century Viola by Nathanial Cross, London Fecit 1731.